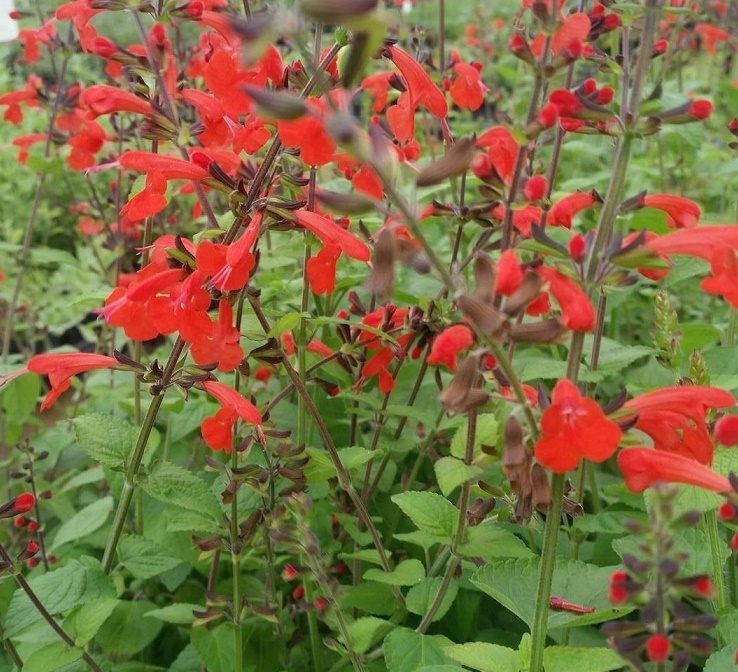 Scarlet sage - Also called "blood sage" or "texas sage" this hardy sage sports spikes of bright red blooms from Spring to first frost. Attracts hummingbirds and butterflies. Very heat and drought tolerant once established. Perennial in zones 9-11. Self seeding annual in colder climates. Live starter plant in 3 inch container.